There is currently no selection process open to work at the Princess of Asturias Foundation. However, we do supplement our team at different times during the year, so we invite you to send us your resumé. At the Foundation we are committed to the principles of equal employment opportunities, avoiding any kind of exclusion based on gender, race, age, sexual orientation or religious beliefs. As part of that commitment to inclusion and diversity, in recent years we have participated in the la Caixa Social Welfare Project “Incorporation Program” to recruit people at risk of social exclusion for our team. We likewise have a human resource management model aimed at facilitating reconciliation of work and family life. Informed Consent Clause in compliance with Article 13 of the General Regulations regarding Data Protection (GDPR). Purpose: to manage personnel selection processes and deal with applications for employment with the data controller. Legitimation: the legitimate interest to carry out the activities of the data controller and the express consent of those interested parties who voluntarily provide their data. Recipients: no transfer or communication of data is foreseen. Rights: to access, rectify and delete the data, as well as other rights as indicated in the following additional information. Identity: Princess of Asturias Foundation. Why do we process your data? To manage personnel selection processes and deal with applications for employment with the Data Controller. How long do we keep your data? Your personal data will be kept during a period of six months, after which it will be erased. So, if you continue to be interested in us having your CV, you will need to send it again. Will profiles be drawn up or will automated decisions be made? In no case will automated decisions be adopted nor will profiles be drawn up with your personal data even when this data is taken into consideration in a selection procedure. What is the legitimation for retaining your data? The legitimate interest to carry out the activities of the data controller and the express consent of those interested parties who voluntarily provide their data. What is the consequence of not providing all the requested data? Your application will not be considered. To which recipients will your information be communicated? No transfer or communication of data is foreseen. Any person has the right to obtain confirmation as to whether their data is processed by the Princess of Asturias Foundation. Those concerned have the right to access their personal data, as well as to request the rectification of inaccurate data or, where appropriate, request its deletion when, among other reasons, the data is no longer necessary for the purposes for which it was collected. You can exercise your rights by contacting the Princess of Asturias Foundation, either by post, enclosing a photocopy of your ID to the aforementioned address or by email, signed with a digital certificate, to the following address: info@fpa.es. If you consider that your rights have not been respected, you can contact the Spanish Agency for Data Protection, via www.agpd.es or at Calle Jorge Juan, 6, 28001 - Madrid, as an Independent Data Control Authority regarding the protection of personal data. All personal data contained in this communication will be processed automatically in the EMAIL FILE whose purpose is the management of computer contacts with all those persons and entities that, for any reason whatsoever, contact the Foundation. No personal data will be passed on to third parties. 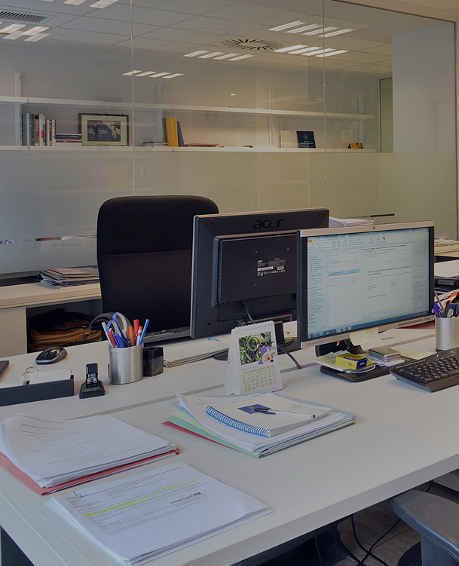 The data controller is the PRINCESS OF ASTURIAS FOUNDATION, which has its registered office in Calle Juan Benito Argüelles, 2 - 1 º, 33004 - Oviedo. Those concerned may withdraw their consent, in addition to exercising their rights of access, rectification, cancellation and opposition before said data controller at the aforementioned address. They may do so by post, enclosing a photocopy of their ID card or passport, or by email, digitally signed so as to prove their identity, to the address info@fpa.es.